Industrial lubricant manufacturer HOUGHTON INTERNATIONAL has announced the launch of a new, dedicated consultation and training facility, named the Fluid Intelligence Academy. As part of its latest series of free webinars, HBM, a market leader in the field of test and measurement, is inviting participants to help expand their skills and grow their knowledge. HBM says designed to fit in with challenging time constraints, which can often make attending relevant training courses difficult, its latest series of webinars, which will take place in November 2018, will provide advice and focus on a variety of topics. March 31st 2018 marked a new standard for the global wind industry when members of the GWO announced that from that date they required technicians working on their wind turbines to have a valid GWO BTT certificate. With a contribution to the Gross Domestic Product of £455.6 billion and an estimated 5.7 million jobs in the UK, it is undeniable that the engineering and manufacturing industry forms a solid career choice. It is one of the largest economic sectors in the UK, and students are picking up on this early. PULSAR INSTRUMENTS has announced it is holding its 30th One Day Noise Awareness Training Course on 13 June 2018 at the National Space Centre, Leicester. The company says its one day noise awareness course offers comprehensive training on how and why to measure noise, what to measure and how often to measure it. 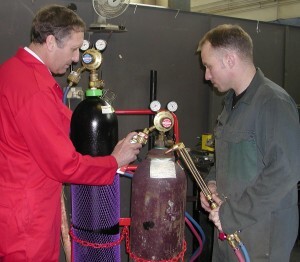 MCP CONSULTING GROUP says with both theoretical and practical modules its M to E accredited conversion programme (City & Guilds) offers real return on investment and is aimed at technicians who have no previous electrical background to enable them to multi-skill and work on specific electrical tasks, competently and safely. This progressive, 4-part programme includes both on- and off-site training and focuses on delegates using the knowledge gained and applying it in fault-finding activities. It also revises key safety and legislative components of the core course. HBM – a market leader in the field of test and measurement – has announced the dates for its latest series of free webinars, which take place in April 2018. For those interested in the revolutionary eDrive system for testing electrical convertors and electrical machines from HBM, “Real Time Analysis of Electric Drives” takes place on Tuesday 17th April 2018. On Wednesday 18th April 2018, join Dr André Schäfer, Development Manager for High-Precision Measurement Chains at HBM, as he provides a general introduction to strain-gauge based “Precision Measurement Chains”. SAFESTART, a leading safety training programme, invites companies to attend its latest discovery workshops. The events will take place in Windsor on Tuesday 13th March, Manchester on Wednesday 14th March and rounds off on the 15th of March in Dublin, Ireland. ESAB has published its schedule of Gas Inspectors Training Courses for 2018. These will be held at ESAB's facilities in Waltham Cross and Chorley, and there are courses for both certification and re-certification. Following satisfactory completion of the course examination, successful candidates are presented with a City & Guilds Certificate, indicating that they are qualified to conduct full safety checks on individual oxy-fuel gas welding systems. At its new training facility in Cheshire, ADVANCED VALVE SOLUTIONS says it has provided Valve Workshops that concentrate on concerns within the power industry, drawing on the expertise of its engineers as well attendees. The next ‘one-day’ workshop will be on the 8th November 2017. 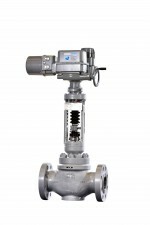 AVS says it has been instrumental in the provision of reliable and robust valves into Power Stations across Europe. BALLUFF says it runs training courses throughout the year and the objective of its hands-on workshops is to teach the participants the optimal way to solve tasks related to industrial applications. Balluff says during the training, it will share its practical knowledge based on many years of experience as a manufacturer. SCHWER FITTINGS has agreed in conjunction with the BFPA, to allow anyone with a vested interest to use the company’s state of the art training facilities. The move will provide experts and individuals alike, with the knowledge needed to progress within the industry. A new academy to train apprentices to work on the £1.5 billion A14 bypass - Britain’s biggest road upgrade – was officially opened by Roads Minister John Hayes on 17 October. INFRARED TRAINING has announced it will be holding a Thermography conference in Liverpool on 17th May 2016, designed to benefit active and aspiring Thermographers. The company says there will be a wide range of infrared camera manufacturers and software developers exhibiting; plus experienced Thermographers delivering presentations offering practical advice and tips in a wide range of industries including automotive, building and specialist high-voltage electrical. The NFPC has announced it is holding an Industry Open Day on 17th February 2016 at the National Fluid Power Centre, Worksop. The NFPC says during the day attendees will have the opportunity to view the outstanding practical facilities, see the equipment in action and talk to experienced engineers with regard to specific training requirements. ABB ROBOTICS says it will be running the latest in its popular ‘Switch to Robots’ seminar and workshop events (bit.ly/s2rNovember), explaining the benefits that robotic automation can bring for SME companies and how to find, implement and run the best robotic solution. WILLIAM HUGHES says apprentices are an important part of its recruitment programme and the company will continue to invest in this valuable resource. William Hughes is a specialist manufacturer of springs and bent wire components for the global automotive and aerospace industries and says the apprenticeships provide an excellent platform for young people to develop their careers. Following on from a successful series of training and workshops, HBM – a market leader in the field of test and measurement – has announced the dates for its next training course, which will take place on the 21-22nd May 2015. Thermal imaging has become an essential method of detecting faults and averting failure in electro-mechanical systems. It can also be ideal for identifying the source of energy loss and spotting problems in the fabric of a building. 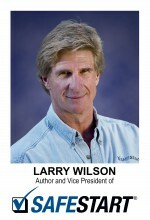 Vital to its effectiveness however is the user’s understanding of the science behind the technology. ESAB has announced a full schedule of 2014 Gas Inspectors’ Courses to obtain internationally recognised certification for the annual inspection of oxy-fuel gas welding equipment and non-welding gas systems. A lively debate ensued at the latest meeting of the Sussex Manufacturing Forum between panel members from secondary schools, FE colleges and universities and Forum members over the increasing problem of a lack of suitable candidates entering the manufacturing and engineering professions. SPIRAX SARCO has launched a new training brochure for 2014, giving plant operators and managers more ways to save energy, increase productivity, improve product quality and reduce risk. North East TV celebrity chef, Kenny Atkinson is putting jobs on the menu for up to five lucky youngsters who can demonstrate an appetite for success. The double Michelin starred chef will soon open his new restaurant; House of Tides on Newcastle Quayside. A suite of free-standing self-contained production enclosures that provide abrasive blasting, welding and paint spraying facilities have been installed by HODGE CLEMCO for Advanced Industrial Solutions (AIS) in North Shields, Tyne and Wear.